I was compensated for this post. This post contains affiliate links, which means if you make a purchase through my links, I may make a small commission. Thank you for supporting the dollar store girl! Christmas is around the corner and it’s time to start formulating ideas about some Christmas decor to get you into the holiday spirit! 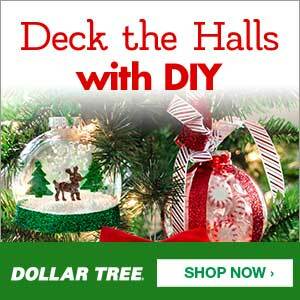 So for todays blog post, we are going to teach you how to make a christmas wreath with items you can purchase from the dollar store. I purchased all my items from dollar tree! This was an easy project to complete but it is slightly time consuming. So if you have some extra time in your day, maybe in the morning or late afternoon, this is a perfect project to complete for the holiday season! 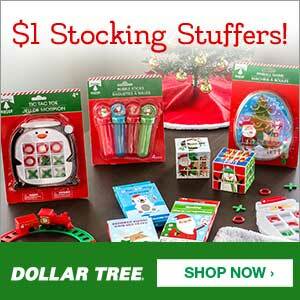 With a quick trip to Dollar Tree, you can pick up all the christmas decor pieces all in one place. For everything, it cost me close to $9. Not too bad. The first thing you will need to do is turn on your glue gun. Make sure you have a full new bag of extra glue sticks, as they get used up very quickly. Next you will start by glueing on your ornaments with your glue gun. Starting from the inner circle, start by placing your ornaments in either a colour coordinated pattern or just randomly placing them where you like. Hold your ornament in place while the glue sets. This can take up to an hour. Next you will find your “centerpiece” ornament, such as the reindeer or any other ornament that you like better. Prepare your glue gun and find the best place on your wreath that you would like it displayed. Glue the back of the ornament and place it on your wreath. Hold for a few seconds until it sets. OPTIONAL - Attach a ribbon hold to hang from walls. Simply cut an arms length of ribbon and fold in half and glue the open bottom together. Then glue the ribbon to the back of the wreath and hold down to set the glue. Once you’re finished, your wreath will look something like this! I love how my wreath turned out! 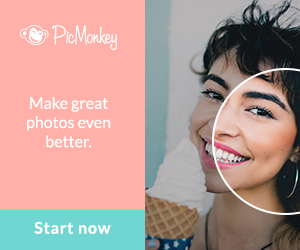 This is sure to put you in the holiday spirit without spending much money at all. It’s eye catching and everyone who comes to visit you will immediately notice its holiday beauty! Thank you for reading todays tutorial and be sure to stop by again for more awesome posts by The Dollar Store Girl!